There was a time when Frank Williams was a joke figure in F1. Yes, seven world drivers' titles, nine constructors' titles and 113 Grand Prix victories later it seems an odd assertion. But for years Frank Williams was perceived as a forever struggling, stumbling presence in the paddock with cars invariably near the back of the pack. 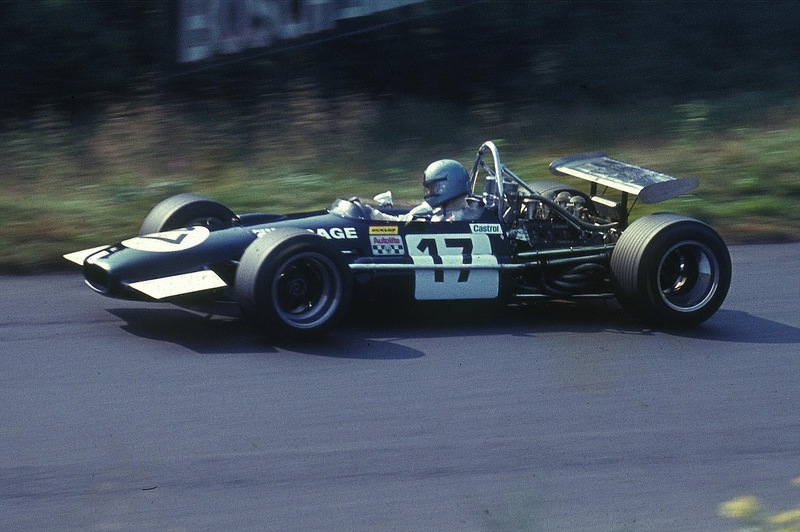 He had success in his first year in the sport in 1969, claiming two second places running a privately-entered Brabham with Piers Courage driving, but after that point it appeared that Frank, year after year, was condemned to salvaging what he could from the latest failed project. As everyone prepared for the start of the 1978 season there seemed little reason to re-evaluate that judgment. Recent form wasn't encouraging: in 1976 even with access to Canadian oil millionaire Walter Wolf's cash success for Frank's team was meagre, with no points scored. Further, after Frank was sidelined the Wolf team went on to claim three victories and finish in second place in the constructors' table the following season. And while this was going on Williams, starting again with his own operation, again scored no points competing with a private (and what turned out to be a long in the tooth) March. His designer for the new season, Patrick Head, concurs: 'You've got to remember that Frank's reputation from his early efforts was not great. He was known as "W*nker" Williams...everybody thought his cars were just there to fill up the grid'. Frank Williams was determined and imperturbable certainly, that he kept bouncing back from each failure and struggled on while constantly short of cash showed that. But even with this few thought he'd ever be anything other than, in Nigel Roebuck's words: 'a gallant no-hoper'. However, Ken Tyrrell for one disagreed, saying as early as 1974 on Williams that: 'there's no one in this paddock who wants to succeed more than he does and if he ever gets himself financially organised, watch out...'. And as Williams invited the press to visit his factory in early 1978 to view the new FW06, there were some clues that Tyrrell was about to be proved right. Williams had built its own car for this season, penned by a new designer by the name of Patrick Head, but all recalled the last time Williams' own team had attempted such a venture, the Politoys, and that had hardly gone well. Head was also an unknown quantity, despite him being responsible for the rear end of the successful Wolf of 1977. 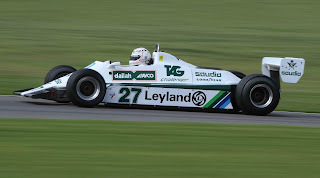 Williams had also signed Alan Jones to drive the thing, and Jones had won a race in fine style the previous year, in the wet-dry race in Austria for Shadow. But Jones had been around for a while and was viewed more as competent and safe rather than as a world-beater. But, as the small band of journalists arrived at the Didcot factory, they began to sense that something was indeed different this time. As Maurice Hamilton noted 'the place was spotless - something of a novelty for small racing teams in the 1970s' and, more importantly, 'there was an unmistakable sense of purpose'. 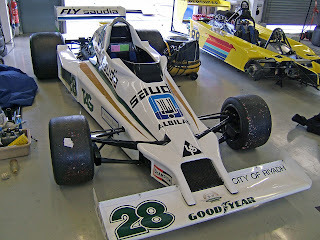 And then there was the FW06 machine itself. By Head's own admission, he didn't at this point understand the ground effect that helped Lotus to five wins, and status as the sport's pacesetters, the previous year. Head instead tried to design 'a simple, light, well-balanced car'. And in the FW06 it looked like he had achieved it. The car, while not revolutionary, was neat and tidy and appeared as business-like as the team standing next to it. And in 1978 it was to prove to be exactly that. Then there was the livery. For some time it seemed Frank Williams had been camped in the Middle East looking to rustle up some sponsors' cash, to the point that he'd almost refuse to leave without a deal being done, no matter how long it took. As his wife Virginia commented 'he'd go to Saudi Arabia for two days and come back two weeks later'. And while the 1977 Williams-entered car had featured a modest 'Fly Saudia' logo on its rear wing, now Frank was getting a visible payout for all of his effort. The car was resplendent in Saudia logos from front to back, and guests from the airline were in attendance. Tyrrell's prediction from four years previously suddenly looked like it would be tested. And within 18 months Williams had won its first race, and dominantly. Two years later it'd be starting its double championship-winning year. But it required more than sponsors' cash and determination to effect such a turnaround. Frank also benefitted from a bit of magic. And he admitted subsequently that there was an element of chance to it all: 'I can't say I saw Alan (Jones) as a future World Champion when he joined us, and, by the same token, I'm quite sure he didn't see it in us...What we needed for 1978 was a good, sensible driver, who would finish regularly in the points. And that's what I thought we were getting. It was the same with Patrick (Head). When I split with Walter Wolf, I decided he was the guy to have with me because he was the best available. That was all. I simply didn't appreciate his talents at the time'. Throughout the entire history of F1 it's hard to think of another manager/designer/driver triumvirate that were as close to each other, or as quintessential to the organisation they were part of, as Williams, Head and Jones. Further, as Nigel Roebuck noted: 'they sparked each other', in the trio each were inspired to much greater heights than probably any of them felt possible beforehand. Williams and Head have likely never felt that their times with any of their subsequent drivers, no matter what the success, were quite the same as going racing with Alan. And while the team remained small at this stage, some 11 employees, who there was reads to the modern eye rather like a who's who of modern F1 engineering: a young Neil Oatley, later responsible for multiple championship winning cars at McLaren, and one Ross Brawn, were on the Williams books. In 1978's opening round in Argentina Jones qualified mid-grid, which was pretty much what Frank expected. But he then realised incrementally exactly what the team and car were capable of: in Brazil Jones started in eighth (and no doubt Frank was content that his car was ahead of the Wolf, with whom his relationship had ended amid rancour). Then in South Africa Jones qualified far back but finished the race in fourth place. But it was the next round, through the streets of Long Beach, California, that in Frank's words: 'it began to dawn on me: "What have we got here?"'. Jones again qualified eighth, and come the race he passed Mario Andretti's Lotus, benefitted from both Brabhams dropping out, and then caught Carlos Reutemann's second-placed Ferrari and showed every intention of passing, even as his front wing started to collapse (no fault of his - Head said later it was his fault for neglecting to strengthen the internal ribs). But Jones later had to give best with an engine misfire, resulting in him sliding to seventh by the end. And Reutemann won the race, after leader Gilles Villeneuve retired after tripping over a backmarker. Jones is convinced that with a trouble-free run he would have been the victor. The year of 1978 is associated with the dominance of the Lotus 79, with their ground effect aerodynamics and sliding skirts (inverted wings under the car, and skirts to seal the air in), helping them to eight wins in 16 rounds. But the Williams FW06 was certainly among the best of the rest, and Jones would almost definitely have taken a win or two when the Lotuses faltered but for his own unreliability. Indeed, the ability to get their car to last the distance was the one area that Williams showed its inexperience in 1978. At the British Grand Prix Jones again could have won with reliability. He ran second, right behind Jody Scheckter's Wolf and looking to pass, only for his drive shaft to fail at one third's distance. Scheckter himself was also to retire, and Jones was ahead of eventual winner Reutemann when he dropped out. Jones got his deserved major points haul eventually in the penultimate round of the year at Watkins Glen, by finishing second. But everyone was impressed by Williams' revelation in 1978 after years of failure. Peter Windsor commented in that year's Autocourse that: 'time and again Jones made the established teams look silly. Frank Williams, for his part, had his best year since the Piers Courage days...For these achievements, no small credit is due to Jones and to designer Patrick Head'. So, what of 1979? Williams had been able to secure additional funding from the Middle East, as well as from TAG. It was also able to claim FOCA membership, and the financial benefits that came with that, all of which allowed it to increase the staff to 32 as well as to run a two car team rather than one. Jones remained the main man, so what Williams and Head required was someone who'd be happy to work in Jones's shadow and not kick up a fuss, but at the same time be quick and bring home the points. Clay Regazzoni, who'd just endured two years in the wilderness following a harsh dumping by Ferrari, was perfect for this. Frank said he was 'not by any means the greatest in the world, but a superb number two and a happy, uncomplicated man...A man who genuinely loves motor racing for its own sake. A totally adorable character'. In terms of the car, the writing was on the wall for all teams that year that ground effect was the way to go for competetiveness. And, odd to think now, prior to the ground effect the wind tunnel wasn't used much by F1 teams. This applied equally to Patrick Head in creating the FW06, and it was only when he booked a wind tunnel for the first time at the end of 1978 that he realised exactly what ground effect advantage he was missing. He sketched out what he believe the Lotus 79's underside was like, and in his words was 'somewhat flabbergasted' by the wind tunnel results. Further, it transpired that Lotus had only scratched the surface of the ground effects' potential. Using what they learned, the FW07 produced by Head and his team for 1979 was a classic, and was the thing to have in F1 almost from the point it turned a wheel. While Lotus decided to go radical that year with their Lotus 80, which sent it down a blind alley, Head made no such mistake. He (helped by the newly-recruited Frank Dernie) took the Lotus 79 concept, made incremental changes in specific areas such as chassis stiffness and produced an efficient, but devastating, car. Indeed, Williams' debut championship win could have taken place a year sooner than it did. That it didn't was, in Peter Windsor's words: 'Because, simply, the car appeared too late...it was fast out of the box but...was not instantly reliable'. The FW07 didn't appear until the fifth round in Spain (for the first four meetings Jones and Regazzoni struggled with the now obsolete, as non-ground effect, FW06s) and it wasn't reliable until mid-season. And, given the silly points system of the time wherein only four points finishes from each 'half' of the year would count to your total, a championship charge was ruled out almost instantly. The FW07 had an inauspicious debut, with two early pit stops in the Spanish race for Jones, but he then served some notice of the car's potential by setting second fastest race lap. But it was next time out in Zolder that everyone could see what the machine could do. Jones qualified third, then moved smoothly past both Ligiers to lead by one third's distance, and he established a lead of upwards of ten seconds. But then his electrics failed. Jones was livid. He might have won at Monaco next time out too but this time the mistake was all his own, as he tagged a barrier which put him out as he was shadowing the leading Ferraris. But Regazzoni so nearly saved the day: ghosting forward from 16th on the grid to place second and then chasing down leader Jody Scheckter late on, despite not having second gear on this track where you most needed it. At the end he was less than half a second shy of the winner. But two rounds later, at the British Grand Prix at Silverstone, the breakthrough awaited. From their already high point, Williams - astonishingly - were able to find an extra second a lap in pace at a stroke. These days, even a fairly rudimentary racing car will likely have fairing under the engine to 'tidy up' the airflow, but in 1979 this was uncharted territory. The idea to use metal strips to seal off the low pressure area close to the engine emerged in the Williams camp, and the effect of doing such a simple thing was stunning. After watching practice at Silverstone Simon Taylor wrote in Autosport: 'The Williams was measurably, demonstrably, visibly quicker into, through and out of the turns than anything else in the place'. Jones, as expected, disappeared in the race, and team mate Clay Regazzoni took up a comfortable, but distant, second place after Jabouille's Renault dropped out. It looked like a demonstration run that surely would end Williams' long wait for a victory. But just after mid distance Jones's water pump broke, leaving Regazzoni's sole remaining Williams out front. Was this Williams unreliability returning to haunt them? Would the same problem that halted Jones strike down Regazzoni also? Thankfully not. After what must have seemed like an age for all in the Williams team, Regazzoni stroked it around the final lap to take the win. It was one of those rare F1 wins where everyone, both within the paddock and among F1 fans, seemed pleased with the result - everyone knew how Frank Williams deserved this success after years of struggle. And the victor Regazzoni, classy as always, knew this too: 'Bravo Frank' he said to his boss. Four wins were Jones's before the season's end, and he dominated just about everywhere. And the next year, 1980, he won the drivers' title and Williams was the champion constructor. This article was written originally as part of GP Focus's tribute to Sir Frank Williams on his 70th birthday. The tribute, with several articles on Williams' glorious history, can be read here.